PAY BY April 15, 2019 for $25 OFF your rate! Can you believe that it’s time to start thinking about pool season again? We sure are looking forward to long summer days lounging under those bright yellow umbrellas. Now that 2019 is underway we are beginning to prepare for our upcoming season. We have some information about your annual dues. Membership Dues must be paid by June 1st, 2019. We’re offering an EARLY BIRD INCENTIVE!!! Pay by April 15th and recieve a $25 DISCOUNT! *includes the $325 dues plus $100 in stock purchases. After the first two years, the member will no longer be required to buy stock. Pay by April 15th, 2019 and recieve a $25 discount! *includes annual dues of $425 plus $100 towards stock purchases. After the first 2 years, the family will no longer be required to buy stock. Pay by April 15th, 2019 and recieve a $25 discount! 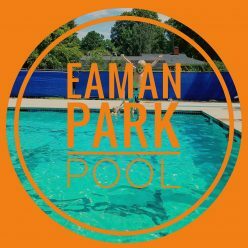 If you have any questions, please feel free to email us a eamanparkpool2012@gmail.com or FIND US ON FACEBOOK! Happy Swimming Everyone! We are looking forward to another great season.